drama* on the waterfront: Constellations: buzzing towards opening night! 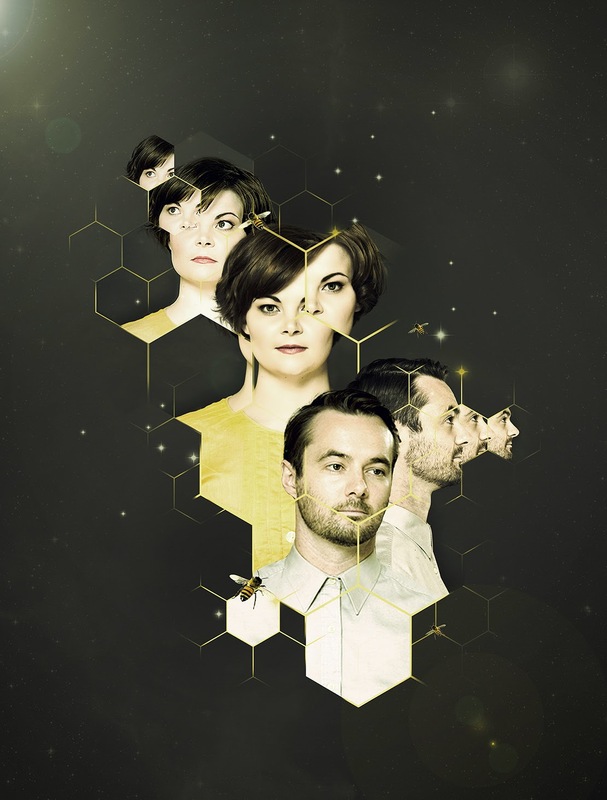 Constellations: buzzing towards opening night! Constellations by Nick Payne is an award-winning play about free will and friendship, quantum multiverse theory, love and honey. The NZ Premiere opens at Circa Theatre in just one week on Saturday 26th July and runs until 23 August. Actors Erin Banks and Richard Dey and Director Rachel Lenart share some insights on the production. Constellations is one of those plays that is full of all sorts of allusions and metaphors: stars, bees, quantum physics, multiple universes. All this amazing material, while a fantastic springboard for making theatre, has also created a fertile breeding ground for puns. So much so that we have established a 'Pun Jar' in our rehearsal room instead of the usual 'Swear Jar'. So every time someone says they have 'friends in hive places' or that we should 'shoot for the stars in this scene' they can expect to be fined anywhere from 20 cents to a dollar (depending on how successful the pun is judged to be). It feels so satisfying to finally be putting the script of Constellations on its feet, as it has been close to two years since first discovering it and wanting to put it on. It is meditative, passionate, simple storytelling wrapped in an intelligent, complex structure. The likes of which I have never seen before. I have never been in a two-hander before and the challenge of being constantly present and engaged as an actor with my cast mate has been incredibly satisfying. I have also been given the privilege to learn about all things BEES. The great architects/scientists/dancers of our time. I have read my share of books (The Bees by Laline Paull is a must read!) and enjoyed the practical experience of inspecting a live hive, even managing to see the Queen. Gaining this knowledge has been a buzz (20c) and sharing the play will be a joy as it is universally (20c) accessible. Can't wait to see you there! 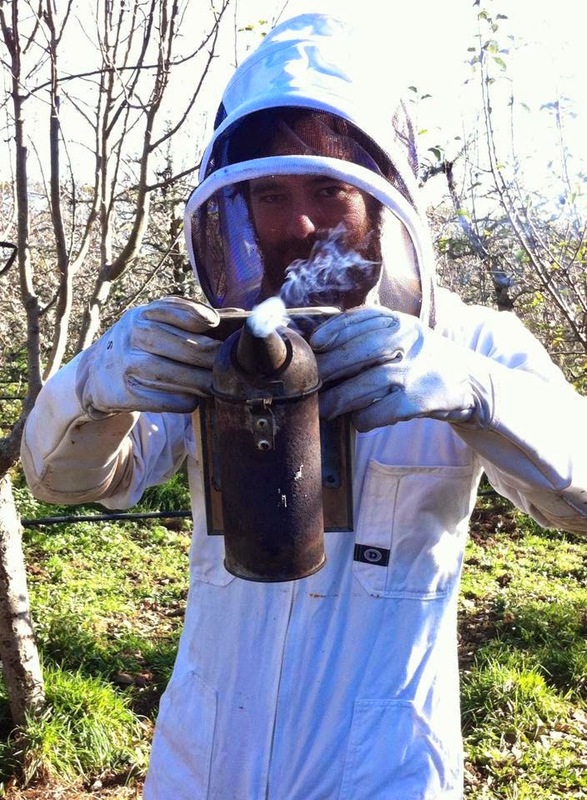 Richard Dey during his day as acting beekeeper. There are so many things about this project that make me want to jump around in excitement. The script is the richest and most exciting I've come across in years in its scope, its depth and even its very structure and exploring it has been a real privilege. Its a play where the everyday becomes profound in its simplicity and manages to find the very essence of what it is to be a human being. And this is only one of its many layers. The collaboration with Richard, Erin and the designers has been a real treat. Everyone has come to the work with their own reading and ideas but consolidating this vision has been a surprisingly organic process. The work has a voice of its own that no one entirely controls, but everyone can hear, see on the edge of perception and our work together is pulling it into being. A fusion of elements (20 cents). The talents and perspectives brought by every single person on board is making the process so rewarding and full of pleasure. As we head from the rehearsal room into the theatre next week, I am only a little daunted by the enormity of what waits for us in the cue lists, mostly I am bursting to see the final pieces of our puzzle fit together. Can't wait to open on Saturday with a big bang (20 cents).